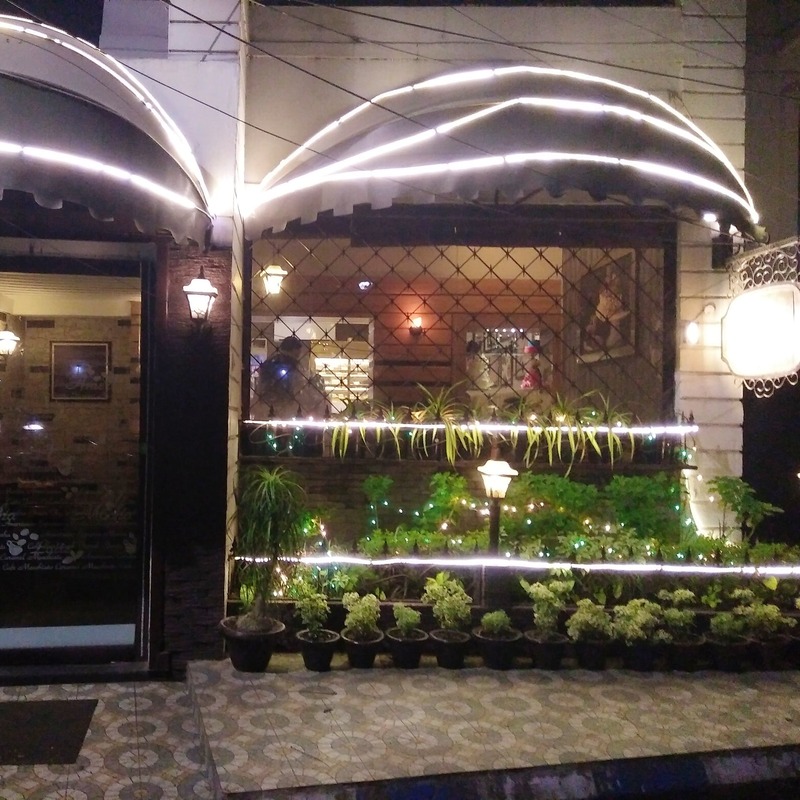 We should all just shift to New Alipore because this cafe might be the prettiest one we've ever seen. Corner of a street? Check. Pretty fairy lights? Check. Serves cake? Check. The Cocoa Bakery in New Alipore is our newest favorite spot to hangout at. With a tiny space, few tables and the smell of freshly baked bread, it's winning hearts real quick. As far as food is concerned, their menu is a not huge. You want to specially go there for their hot chocolate, pastries, macaroons and bread. On the side, they have packets of M&Ms, cute little chocolates, doughnuts and a lot more. Their pastries look extremely pretty, and taste just as good. They also have cakes and that will be good enough to be birthday presents. Also, we saw the cutest three tier cakes. We dug around and found out that they will make you personalised cakes, also. The three-tier cakes cakes are 12 pounds and they start at about INR 900 per pound. The cafe is slightly noisy. So it won't be your perfect spot to finish an assignment. A normal meal for two should be at about INR 500. But their cakes are slightly more expensive.